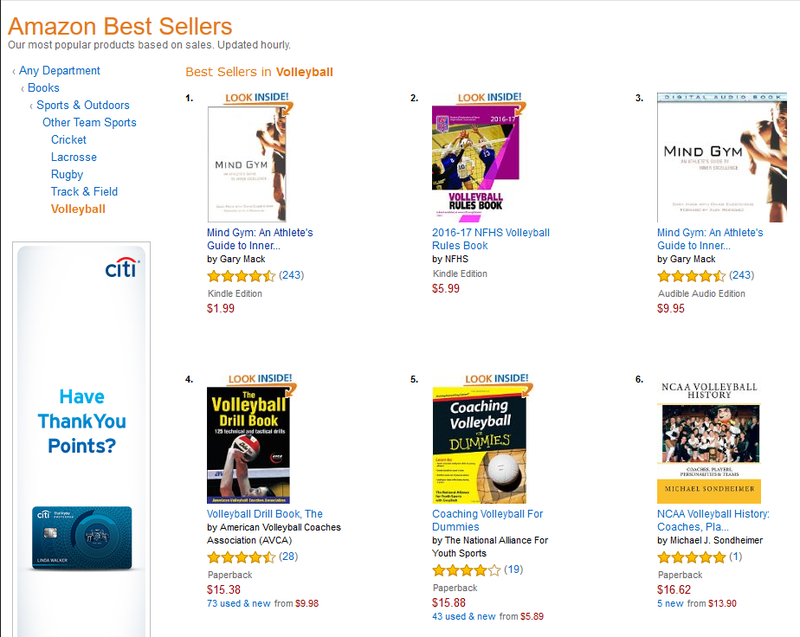 Amazon has no respect for Volleyball! 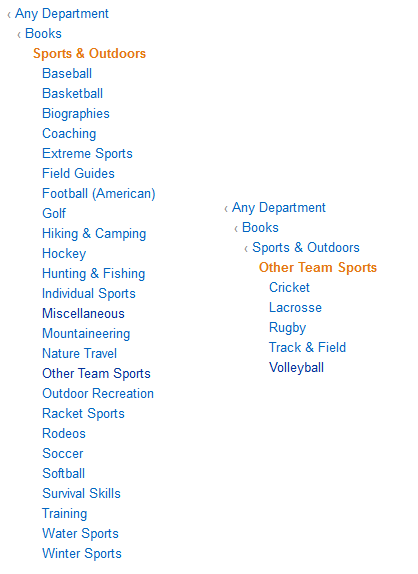 Did you know Volleyball doesn’t have its own individual listing in the Sports category at Amazon? Seriously! Check it out. When you do you’ll see that Volleyball is put under the Other Team Sports sub-category. Come on! Mountaineering and Rodeos get their own category, but not volleyball? These sorts of thing are an indication that volleyball isn’t doing a good job on the business side of things, particularly in terms of marketing the sport and presenting it in a legitimate way. That needs to change. This is part of what we seek to accomplish with Volleyball Coaching Wizards. We want the series of books we develop based on all the interviews we’re doing to help take our sport out of the shadows and provide for it a literature comparable to what you see in other sports. It will be a chance for volleyball coaches all over the world to read about, and be inspired and educated by, great coaches in our sport – just like basketball and baseball and football coaches can in their own sport. Not that we in volleyball can learn from what coaches in other sports do. We certainly can. Just take a look at our Recommended Reading list as an example. We think, though, that coaches in other sports should also be looking to learn from what we’re doing. So much of what comes out of the Volleyball Coaching Wizards interviews isn’t sport-specific. It’s about coaching philosophy and style. It’s about dealing with people. It’s about managing time and expectations. All coaches have these things in common. Getting attention beyond our sport – and in some cases even within it – takes something special, though. That’s exactly what we’re planning for the launch of the first Wizards book. Click here to find out more about the book and how you can stay updated on our release plans. ← Previous Previous post: High school coaches can’t be among the world’s best?